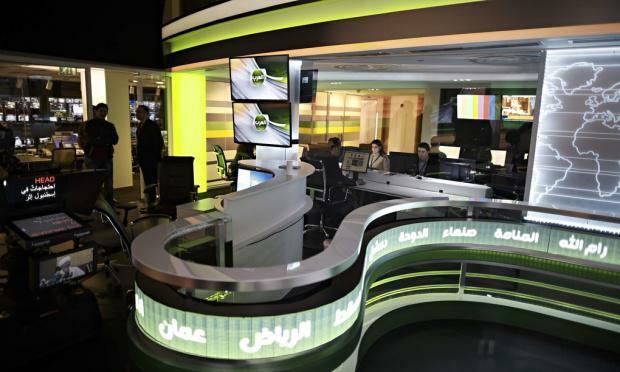 Saudi-backed Alarab news network shut down in Bahrain. The channel on Sunday carried an interview with Khalil al-Marzooq, a senior official of Bahrain’s main opposition group, about Bahrain’s decision to strip 72 nationals of their nationality. Alarab later interviewed the information minister, Isa Abdulrahman, on the same subject. One person aware of the matter said information ministry staff came to the broadcaster’s studios in the early hours of Monday morning to close down the operation. On Sunday, pro-government daily Akhbar al-Khaleej reported that the channel had been suspended for not being committed to Gulf norms, including “media neutrality and lacking prejudice to whatever may negatively impact the spirit of Gulf unity.” A person close to the government said the decision to pull the channel had nothing to do with the al-Marzouq interview. “The truncated debut of Al Arab’s broadcast is the most recent collision of the efforts by the Arab monarchies of the Persian Gulf to portray themselves as open to the outside world while drastically limiting freedom of speech and political rights at home,” the New York Times reports. “Bahrain has faced four years of instability following widespread anti-government protests in February 2011 that were dominated by the country’s Shiite majority, which seeks greater political rights from the Sunni monarchy,” according to the Associated Press.